Sheila Houghton has shared a generous and thoughtful donation with WATSAN in aid of our priority project at Rumbugu. 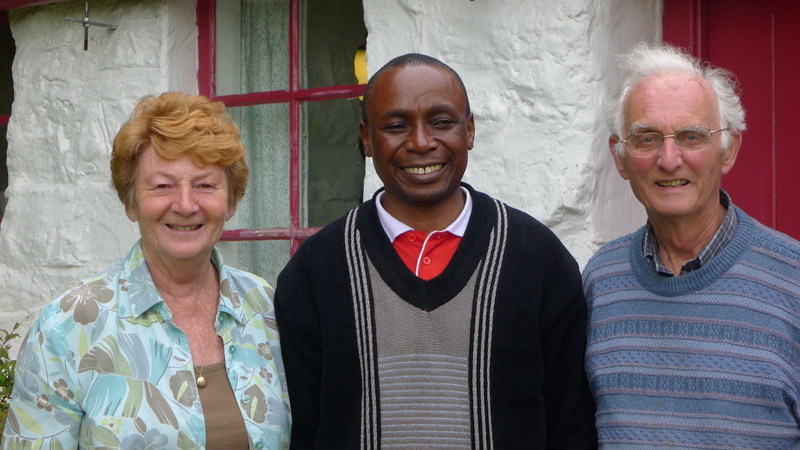 Sheila, pictured with her husband Sir John Houghton and Bishop Dan Zoreka, has been a regular supporter of WATSAN by passing on the profits of HAFAN Christian Cafe, owned by her and run by volunteers from the churches in Tywyn/Aberdyfi, but she was moved to make a further personal donation after reading about the great need at Rumbugu School, where over 400 pupils share intermittent water to a single tap, and 40 female pupils share just one toilet. WATSAN accepts donations of all kinds and sizes, which can be made online, by standing order, bank cheque, CAF cheque, Stewardship or similar vouchers, in a legacy or via sponsorship for events such as our forthcoming Walk for Water. Fifty people now signed up to join the 2017 WATSAN Walk for Water!